Holy sh*t! 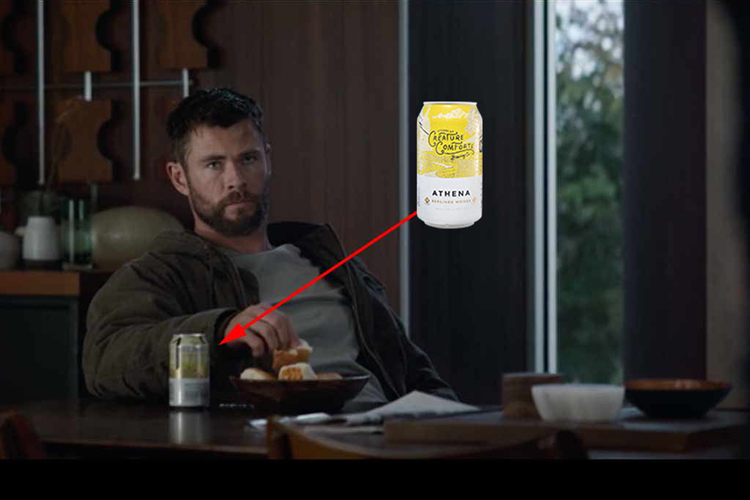 While everyone is trying to spot spoilers in the new “Avengers: Endgame” trailer, Georgia craft beer fans have eyed something downright awesome. Let me back up real quick. If you didn’t hear, “Avengers: Endgame” tickets (finally) went on sale Tuesday, April 2. I’ll pause to give you a second if you still need to buy them before you get shut out of opening day. Ok. Ready to get back to the beer part? The new “Special Look” trailer (above) that dropped Tuesday starts by showing the exterior of the Avengers compound at night. We then hear the voice of Mark Ruffalo’s Bruce Banner talking about what our heroes have to do. The next shot shows a sullen Thor — who came oh-so-close to saving the day in “Avengers: Infinity War” — sitting at a table with a beer can in front of him. Georgia craft beer fans realized that beer can isn’t any old beer can. In fact, it’s not even a Big Beer can. It’s a can of Athena, a Berliner-style Weisse from Athens-based Creature Comforts Brewing Company!